Can I switch games while streaming or recording? Support > XSplit Gamecaster > Frequently Asked Questions > Advanced > Can I switch games while streaming or recording? 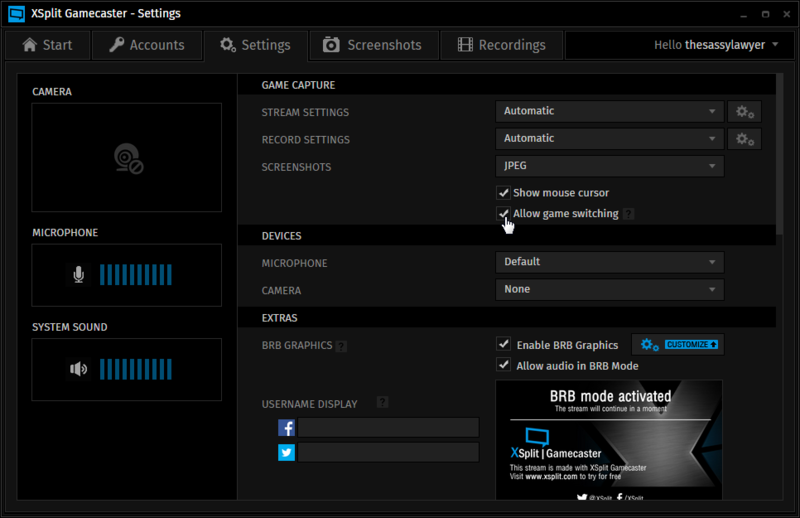 When you exit a game, the stream or recording will continue (the BRB screen will be active if you have it enabled) until you stop it in the XSplit Gamecaster window or in the XSplit Gamecaster overlay inside another game.